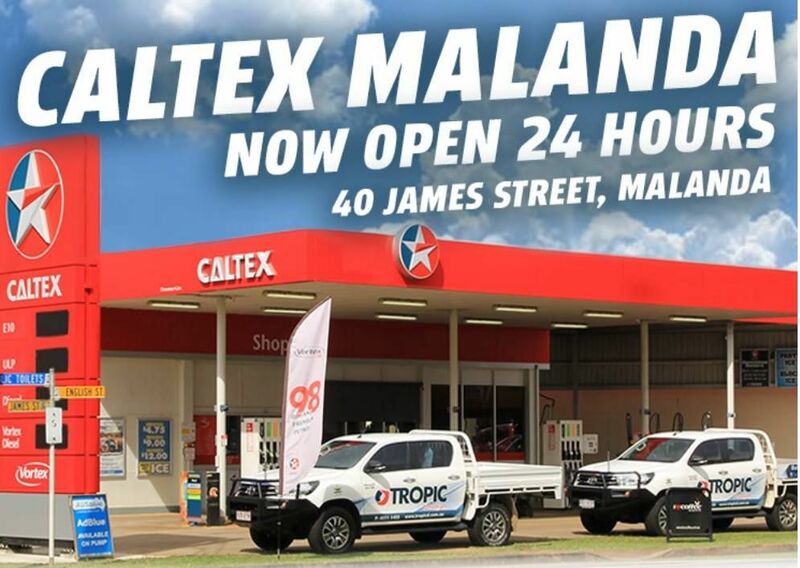 We are excited to announce that Caltex Malanda will now be serving you 24/7 for all your fuel, convenience, take away food and coffee needs. Pop in and say hello to the friendly staff... ANYTIME!! !